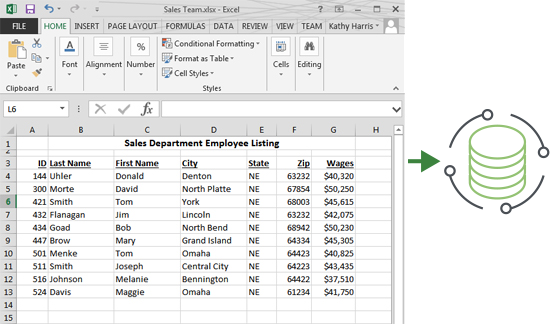 GoAnywhere MFT can create Microsoft Excel spreadsheets to share detail and summary information with employees and trading partners. 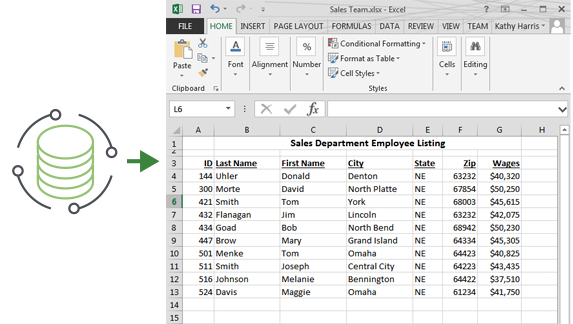 Additionally, data can be extracted from Excel spreadsheets and converted to other file formats or loaded into a database for further processing. GoAnywhere MFT supports Microsoft Excel 2003, 2007, 2010, and 2013. After an Excel spreadsheet is generated, GoAnywhere MFT can then compress or encrypt the file and store it on the network or distribute the file to a remote server. You can also password protect your Excel spreadsheets with AES encryption. Request a quote to automatically read and write Excel documents using GoAnywhere MFT.